I love my boots. They are classy, comfortable, & stylish. Usually you have to give up style for comfort. 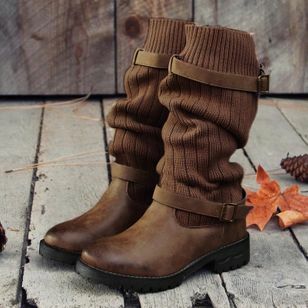 These boots have it all. Look really nice with skirt and opaque tights. I love these boots so much that I bought it in black too. Love Love them, the color, the fit and the quality. I'm thinking to purchase the black ones.